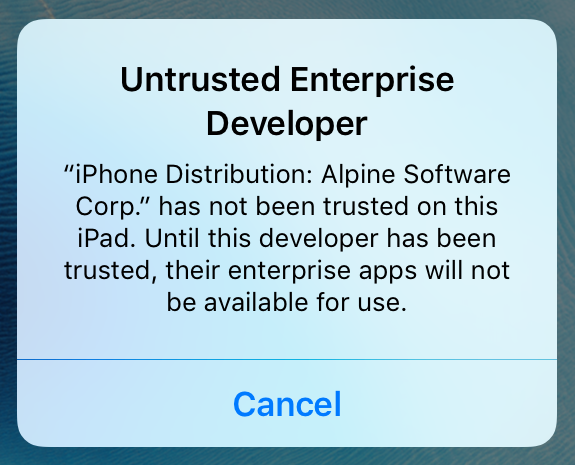 In iOS, Apple has introduced a security measure that requires our users to manually accept "Alpine Software" as a trusted developer. Please follow these steps for Responder and/or AVL to enable your apps for use. Due to security concerns, Apple has removed the "Trust" button that used to appear on this popup. Click Cancel for now. 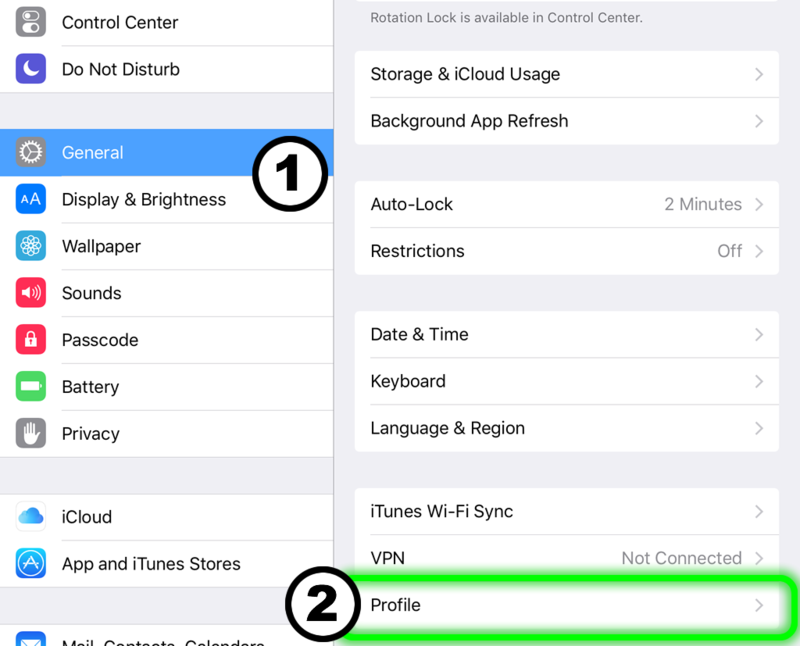 Locate the iOS Settings App and launch it. In the Apple Settings app, find the "General" option and click it. Then find the "Device Management" option near the bottom of the sub list. You should then see "Alpine Software Corp" listed. Note: If "Device Management" is not listed under General, try clicking in another section and then clicking "General" again or closing the Settings app and reloading it. It may have to be refereshed. If you continue to have a problem finding the Device Management section, try uninstalling Responder/AVL and re-installing. 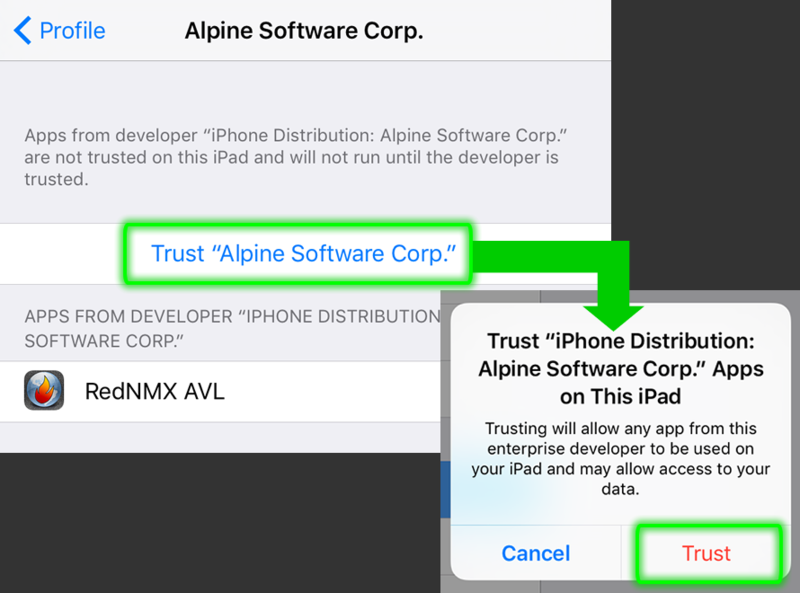 Click the Alpine Software Corp Profile, and click "Trust Alpine Software Corp". A popup message will ask you to confirm, so click the "Trust" button. Return to the RedNMX AVL or Responder app and it should load without an issue. If you uninstall, and no other apps by Alpine Software remain on your device, you will have to repeat these steps again to re-approve the profile.